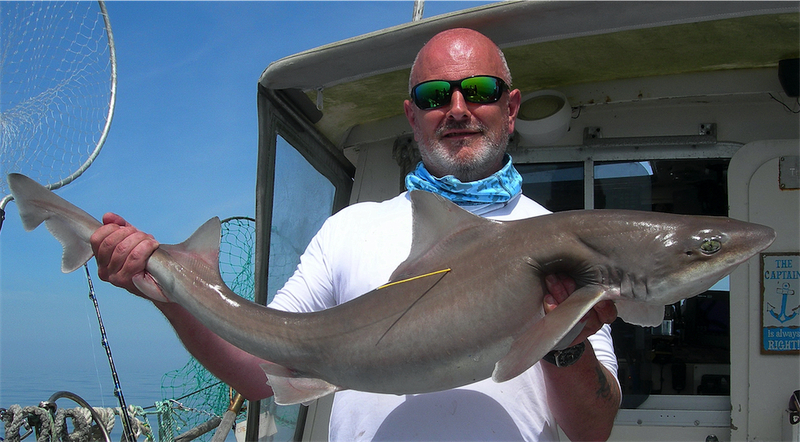 Paul and what would have been a potential record Smoothound a fish of 20lb but returned alive as she was heavily pregnant. What better way to experience the sea around Jersey's wonderful coastline. 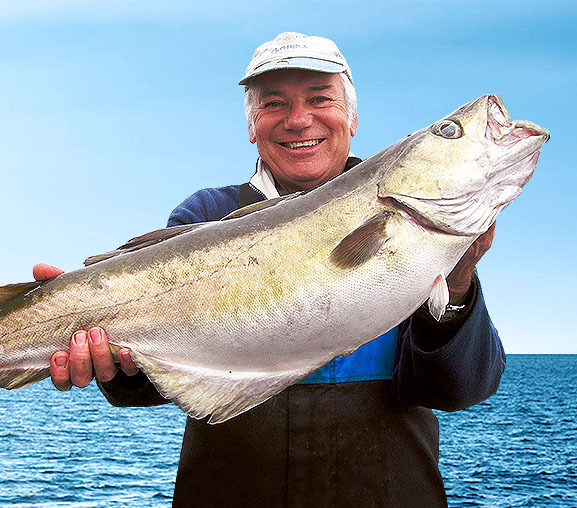 Complete beginners or experienced anglers are all welcome and will encounter the best off-shore fishing Jersey has to offer. 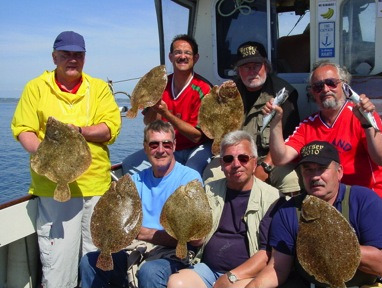 We are Jersey's only angling charter company with more than 25 years experience, so can assure you a trip to remember! Our trips are very competitively priced and include rods, reels, tackle, bait and beverages, plus FREE tuition if you're a complete novice. Fantastic value at around £8 per hour!